Be inspired by thrifty treasure troves and iconic brands. Our compact city is bursting with shops that dare you to be bold. Own your individuality in a city that buzzes with independent attitude. Once the world-famous centre for lace and hosiery, Nottingham’s Creative Quarter is a breeding ground for fashion pioneers. Just look at design-royalty Sir Paul Smith, whose iconic stripes have left their mark on the city. It’s a city brimming with bohemian charm, where vintage emporiums brush shoulders with quirky boutiques, second-hand bookstores and tattoo studios. Whoever you want to be, you’ll be it here. Fall in love with clothes that had a story before you. We like to throw it back to funky times here, and Nottingham’s Creative Quarter is bustling with enough vintage shops to kit-out an entire city. COW is the loudest shop in Hockley – an urban haven of streetwear, glitter and block colours. 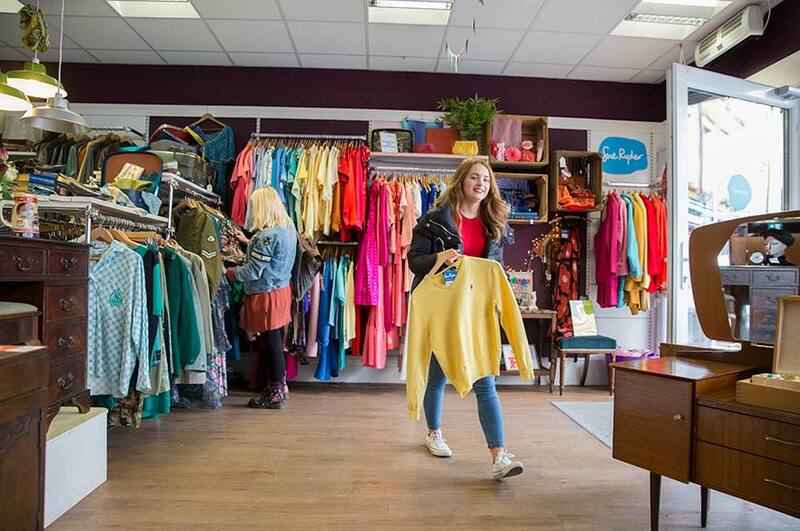 Visit WILD Clothing for full retro vibes, bury your head in a bundle of colour in Braderie, or spend a whole day exploring antique treasure trove Hopkinson. Charity shops ain’t what they used to be. There is one on every corner in Nottingham, and they’re full of designer-labelled treasures waiting to be discovered. You’ll be saving clothes from landfill, while you donate to a worthy cause, and outfits look better when they're guilt-free. Sue Ryder is a huge charity shop with maximum nostalgia value — from vinyl and furniture to clothing and haberdashery. Hop on a tram and spend the day exploring Beeston's charity shops. 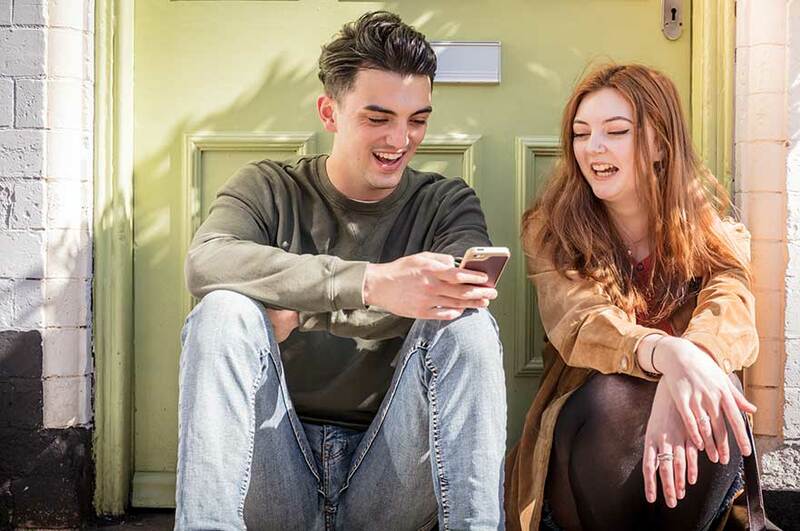 Nottingham offers the best of both worlds – a big city shopping experience in a compact city centre. It's a fusion of creative businesses and huge shopping centres, and they all sit side-by-side. 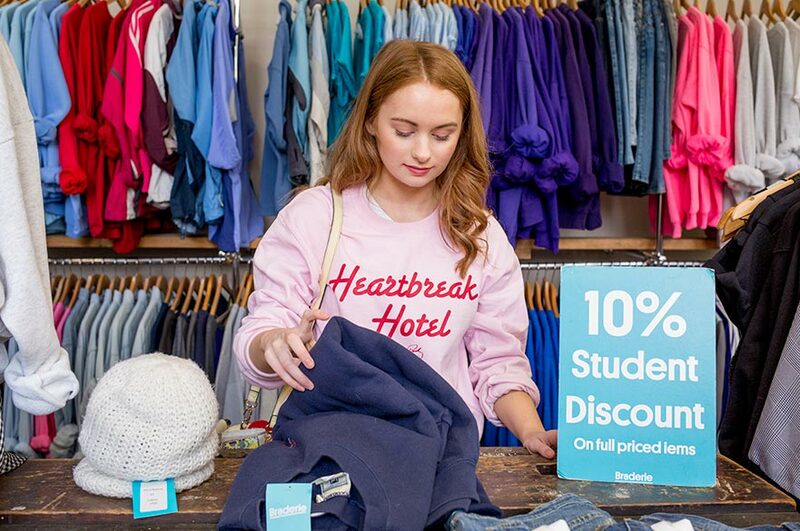 From Primark and Zara, to Urban Outfitters and Dr Martens, you'll find high street brands for every budget. We've got iconic labels, too – Vivienne Westwood, Paul Smith and Diesel all have homes here. Local businesses huddle in busy market stalls around the city. 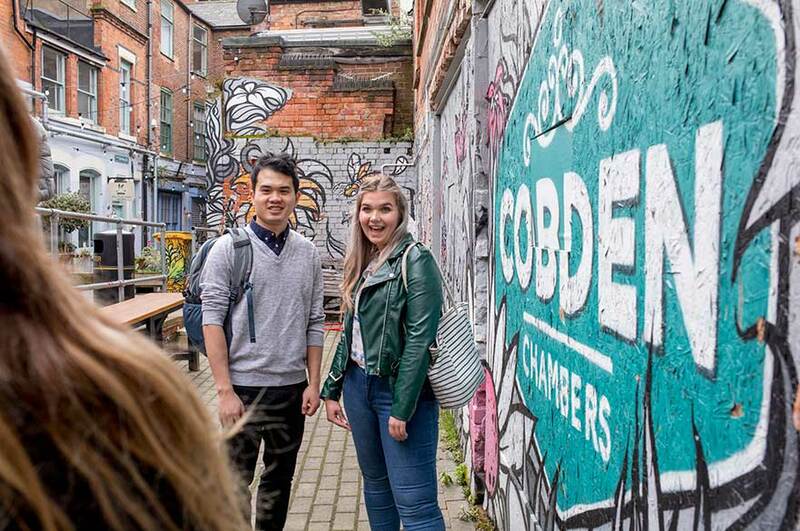 Visit Cobden Chambers for pop-up street food vendors, markets and street art, or explore Victoria Centre Market for crafts, fabrics, flowers and food stalls. Old Market Square is the largest public space in the UK after London’s Trafalgar Square, and it plays host to seasonal marketplaces, like our festive Christmas market and summer beach. 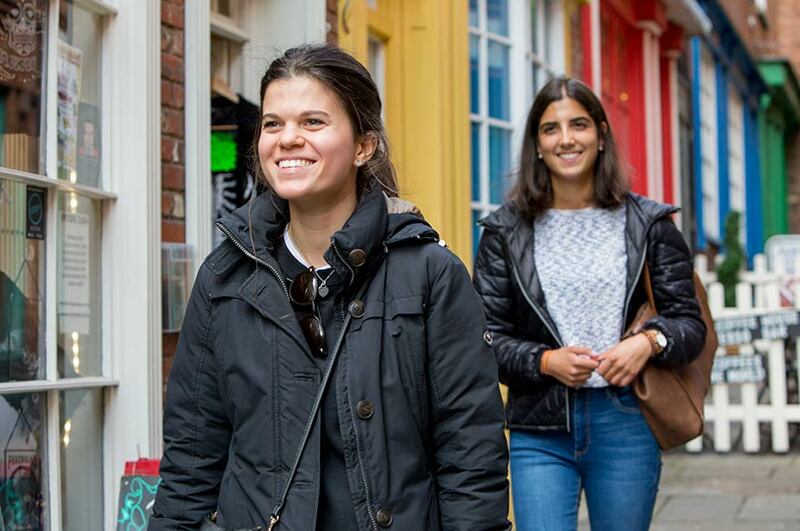 We've shown you some of the best places to shop in Nottingham, but don't just take our word for it – make sure to explore the beautiful city centre when you visit for an open day. One short walk around Nottingham and you'll fall in love. Haven't booked an open day? You can do it here.